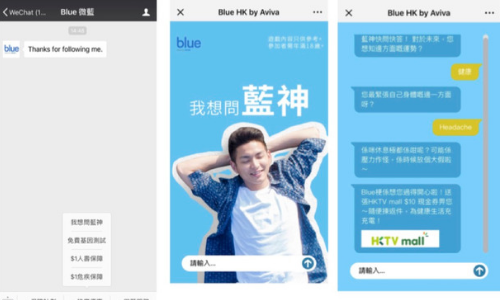 Blue, Hong Kong’s first digital life insurance company, launched a cognitive ad campaign and achieved triple engagement compared to traditional banner ads and immediately boosted traffic to the insurer’s platform. 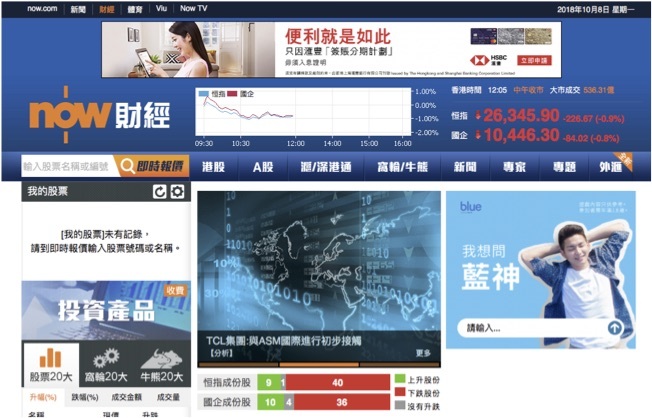 The cognitive banner ad was created by NDN Group’s New Digital Noise and launched in early October with three media partners, Now.com, WeChat and Hotmob Premium Network. It featured an AI chatbot named “Blue Guru”. Internet users can interact with the Blue Guru to seek advice regarding their career, life, health and relationship. Health questions are the most popular so far, said in the statement. Users will be awarded incentives such as a 7 day free trial on music streaming platform JOOX if they leave their email. Data shows that on average, users interacted with the Blue Guru at least three times and redeemed awards twice. 1,200 emails were collected, 2,500 new followers were added across several social media platforms and all awards were redeemed within 24 hours from the cognitive ad launch. Conversational marketing is an innovative way to engage and learn about customers. It provides context and a clear picture of why a customer made a certain decision. “Conversational Marketing is made available through artificial intelligence. It is a clever way to study performance and consumers. It can map out the entire thinking process and provide actionable insights. Thereby ensuring a better chance of cross-selling, up-selling and closing the sale. This will finally close the gap in digital marketing,” stated Andy Ann, CEO of NDN Group. CapitaLand has appointed Rapp for its upcoming JCube mall, which is expected to launch in the first quarter of 2012, following a p..